Back Issue #97 flying into customers’ hands today! 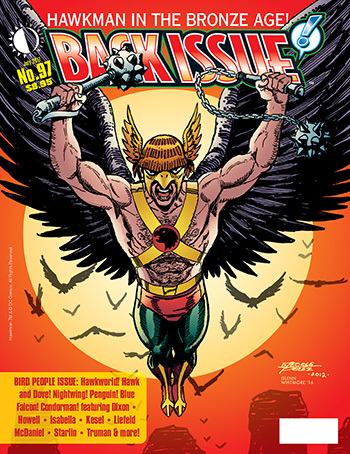 BACK ISSUE #97 is shipping now, with features on comics’ BIRD PEOPLE: Hawkman, Hawk & Dove, Penguin, Condorman & more! See a preview and order HERE! This entry was posted in TNT on 25 May 2017 by Mr. Morrow.